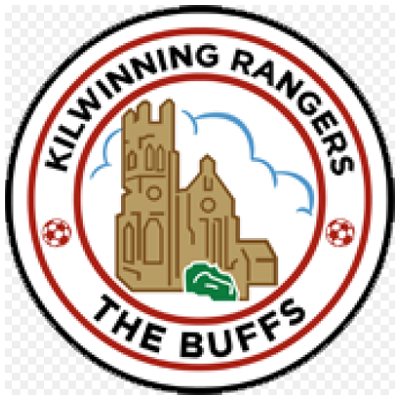 There were incredible scenes at Lochburn Park this afternoon as Kilwinning Rangers had three players sent off and manager Chris Strain sent to the stand in a crazy 5 minute spell. 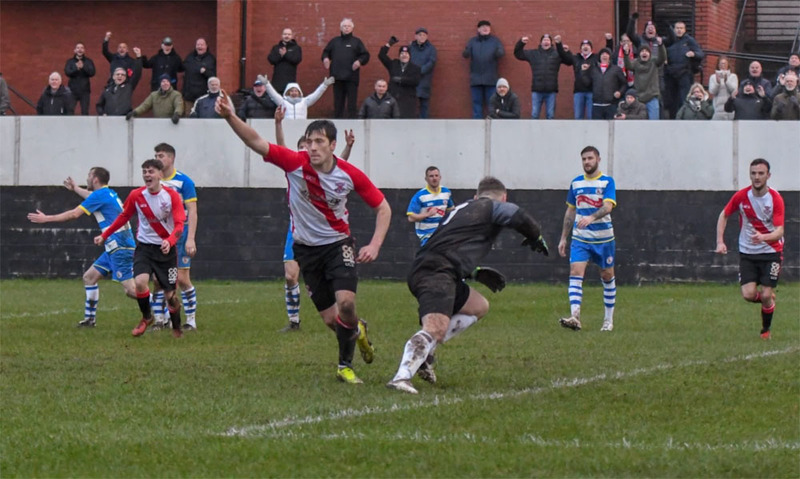 The Bankies went on to take full advantage and rattled in five goals. The match was tighter than a gnat’s chuff up until the 65th minute when Nicky Little finished a quite stunning team goal by volleying past Adam Strain to put the Bankies into the lead. It was all downhill for the Buffs after that. Firstly, Boylan was shown a second yellow card for retaliating against Chris Black who had blatantly body checked the Kilwinning man. Black was booked for his troubles. The signs of verbal indiscipline just cascaded from there. Kilwinning manager Chris Strain, who had been spoken to by the ref in the first half, was outraged by the Boylan’s red card. He just wouldn’t let it go and whistler Chris Graham eventually sent him to the stand. As tempers flared Bankies McClair and Pettigrew of the visitors were also yellow carded. Three minutes later the Bankies exploited their extra man when Jordan Shelvey raced down the left wing and sent in a low cross that was helped on first time by Ross Alexander to Nicky Little who was all on his own. Goal number 18 for the season was duly scored from 8 yards. Still incensed by happenings just about every Kilwinning player was involved with the ref Chris Graham and his assistants. Garry Fleming was booked for remonstrating with the far side linesman, and then subsequently said something to the ref which earned him a red. While that was going on, Syme was having a go at the other assistant. The linesman brought this to the attention of the ref who booked him. Incredibly, he just wouldn’t give up and he was also sent off. Syme had to be dragged away from the assistant in amazing scenes. 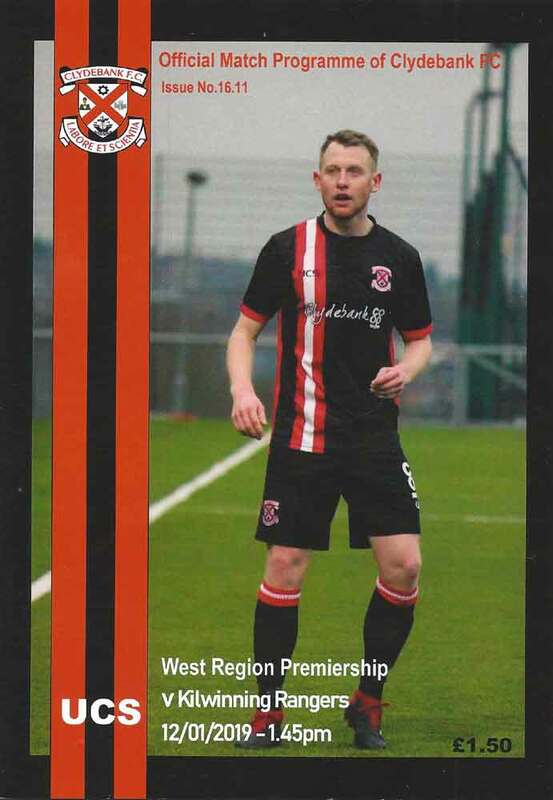 The Bankies scored a further three goals that were all defensively disastrous for the remaining Kilwinning defence. Goal number three came after 76 minutes from a cross field chip by Chris Black. Full back Coleman slipped on the muddy pitch at the vital moment allowing Hepburn a clear run on goal which he finished expertly. It got worse after 83 minutes when a passback to the keeper was woefully short. It wasn’t helped by the pitch which seemed to take the ball in a weird direction. It didn’t bother Nicky Little who pounced on the ball, rounded the keeper before crossing across the goal for Hepburn to tap in. Two minutes later, Pettigrew got himself into a fankle on the edge of the box, and was duly dispossessed by Cammy McClair who gratefully accepted this gift by stroking home his tenth goal of the season. Before all this it had been a quite entertaining match between two evenly matched sides. Possession wise the visitors probably shaded it but chances wise it was the Bankies who had the best. Jordan Shelvey was the main culprit missing three clear cut opportunities. In fairness, the pitch had a hand in his misses with bobbles just as he was about to pull the trigger on at least two of those occasions. Kilwinning were well in this match and only have themselves to blame for a complete lack of discipline. It was odd to see so many players and the manager being booked and subsequently sent off for dissent. Great credit is due to the Bankies for keeping their heads down and taking full advantage. At two nil they could easily have run the clock down against the eight men, but instead they went for the jugular. Stand out player for me was Chris Black who showed just what he is capable of. Liam Rowan and Jamie Darroch were best at the back, and it will do the confidence no harm for Little, Hepburn and McClair being amongst the goals.